Fellowship Previews: Robert Venditti & Renato Guedes Chronicle the Coming of ETERNAL WARRIOR: AWAKENING #1 – Coming in May! 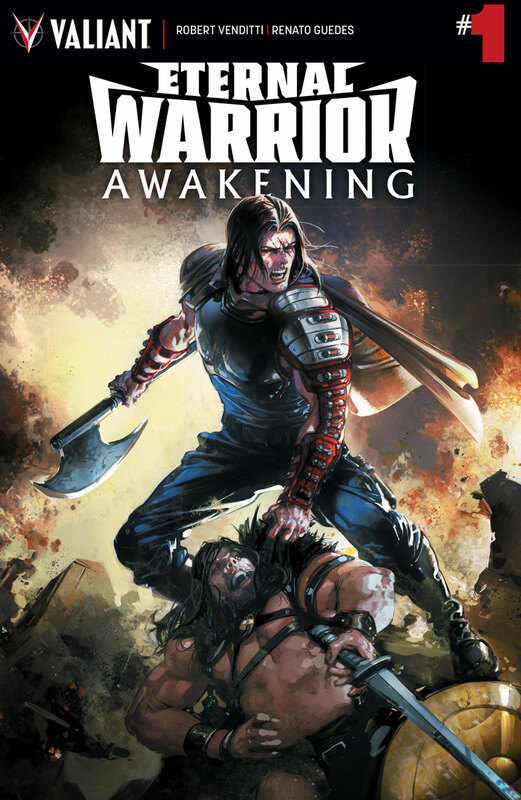 As revealed today at Newsarama, Valiant is proud to announce ETERNAL WARRIOR: AWAKENING #1 – a punishing standalone special celebrating 25 years of Valiant’s immortal soldier…and revealing a never-before-told tale of his earliest adventures at the dawn of civilization! On May 10th, take up arms alongside New York Times best-selling writer Robert Venditti (Hal Jordan & The Green Lantern Corps) and acclaimed artist Renato Guedes (Bloodshot Reborn, Wolverine) as they unleash the second of four special issues honoring the most beloved Valiant tales ever with a formative chapter in the life of Gilad Anni-Padda…and celebrating the original ETERNAL WARRIOR #1 by comic legends Jim Shooter and John Dixon! "I think there’s a tendency to interpret Gilad as very dark and grim, since he’s been a warrior for, well, eternity. It’s right there in the title. 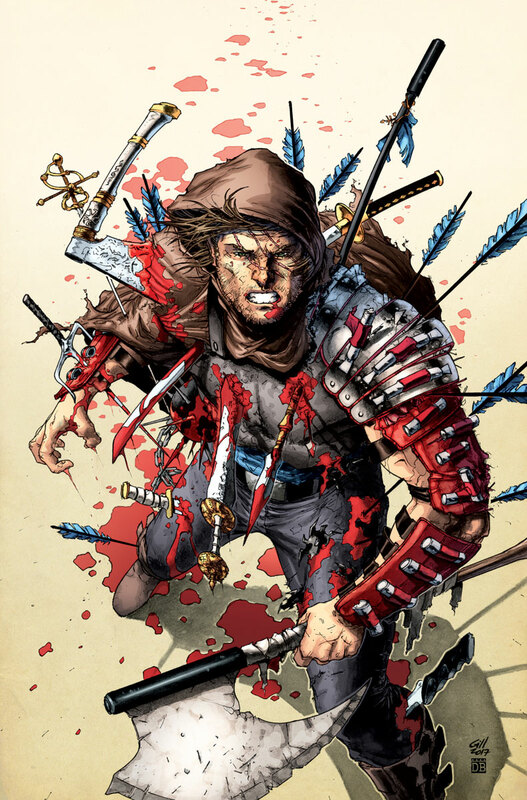 But I see him as an eternal optimist," writer Robert Venditti told Newsarama. "He believes humanity is far more good than bad, and that the battle of good versus evil will be won one day. Otherwise, what makes him get out of bed and sacrifice so much to keep going? Really, I look at the Eternal Warrior, and beneath all the battles and bloodshed, I see an unending wellspring of hope." On May 10th, discover the man behind the sword as the Earth’s relentless guardian begins a soul-scorching battle against eternity itself, only in ETERNAL WARRIOR: AWAKENING #1! Featuring covers by superstar artist Clayton Crain (4001 A.D., Carnage), rising star Robert Gill (Book of Death), acclaimed artist Marc Laming (Ninjak), and astonishing artist Jeffrey Veregge (Red Wolf), witness the dawn of the Valiant Universe firsthand with an essential one-shot celebrating 25 years of an indelible comic book icon – the unrelenting Eternal Warrior! Plus: On April 12th, Valiant’s 25th anniversary celebration starts with a swashbuckling adventure as New York Times best-selling writer Fred Van Lente (Archer & Armstrong) and Eisner Award winning artist Cary Nord (X-O Manowar) present IMMORTAL BROTHERS: THE TALE OF THE GREEN KNIGHT #1 – a special 48-page quest into Arthurian legend with Archer & Armstrong, the Eternal Warrior, and Ivar, Timewalker! And look for two more celebratory one-shots honoring Valiant’s most memorable tales throughout 2017.